There arent too many Mexican desserts. 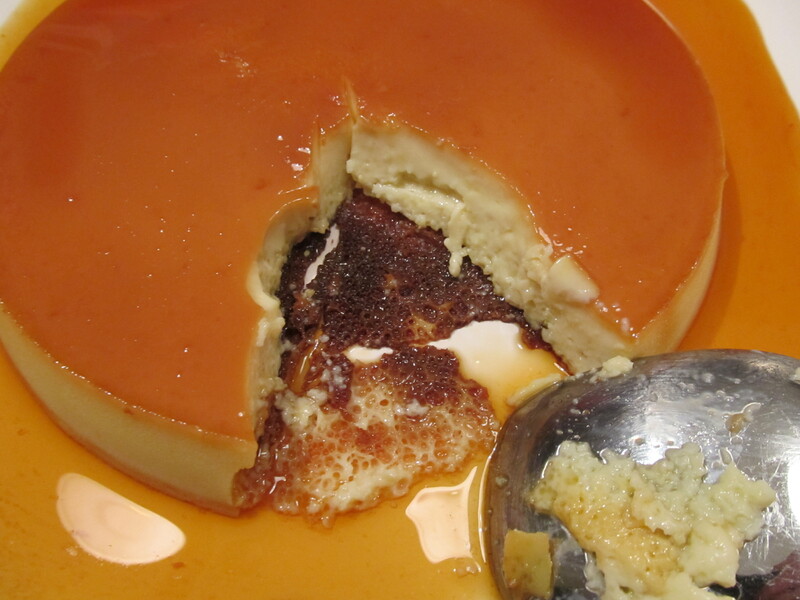 But one of the most popular mexican desserts is flan. 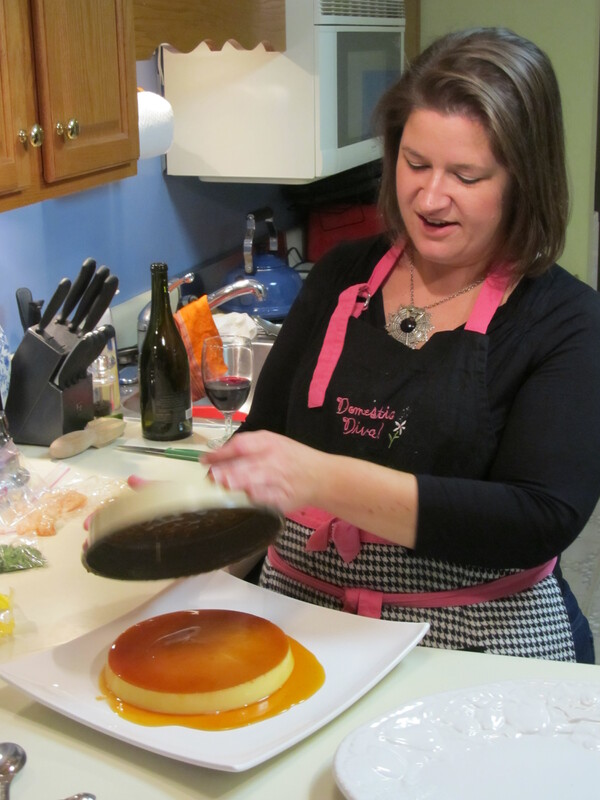 I decided to make Mexican Flan for Mexican Supper Club back in October. I was a little nervous since I’ve never made a custard before. I knew immediately to set up the basics – line a large roasting pan with a dish towel and place my flan pan inside so that everything is ready. 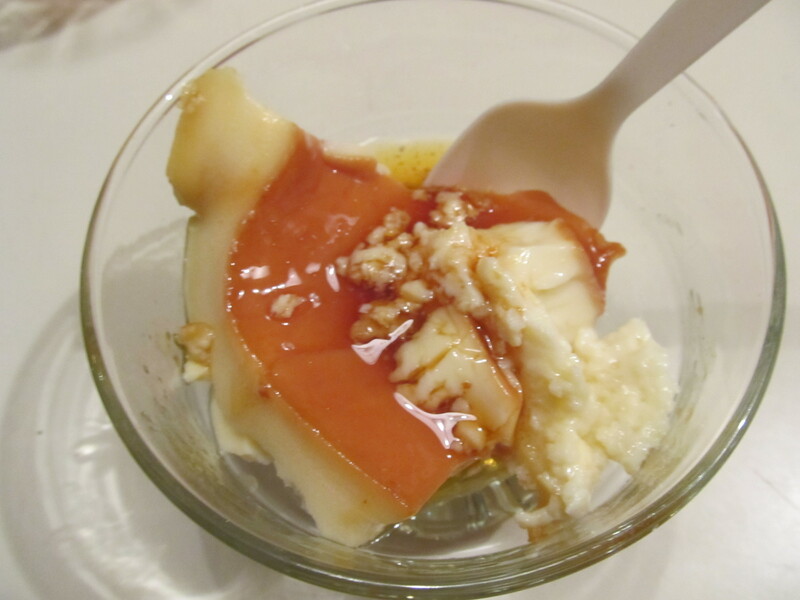 I struggled with the first step of making the caramel topping. I boiled the sugar water 3 times without it turning out right before I called the expert……my mom! Without having made this before either, she surmised that my heat wasnt high enough when simmering the sugar water mixture. She was right and it turned dark and was ready to go! I dont know how, but moms are always right. The rest of the flan came together real easy after that. Because my oven was having issues, it took a bit long than expected to cook through and in the process the top (well, really the bottom) got a little dark….You can see it in the pictures later on in the bottom of the plate. I was especially nervous when the time came to flip the flan upright onto the plate in front of my dinner guests. 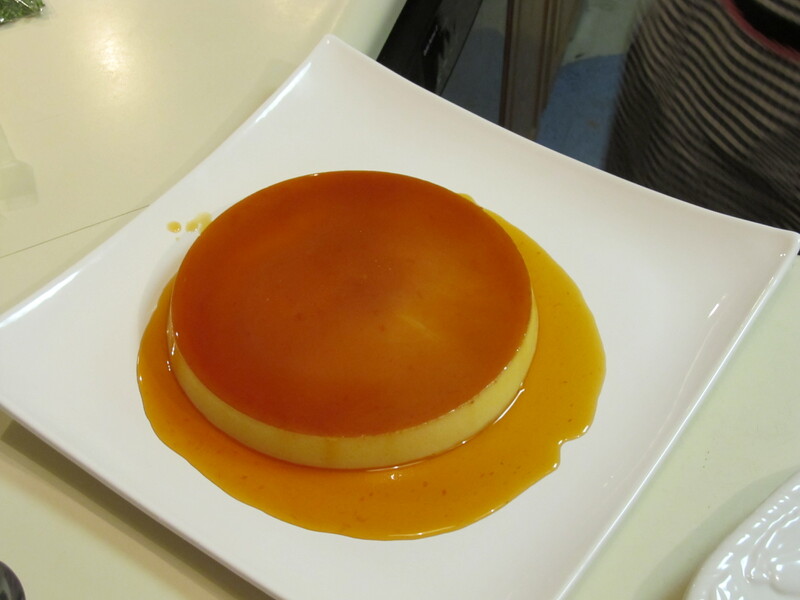 Basically, you wait until it’s cooled completely, run a knife around the edges, then hold a plate on top of the pan, and flip the entire thing over so that the flan has the caramel part on top. Look how perfectly this worked! SUCCESS! It looks gorgeous, too. And then we finally got to try it at the end of our mexican meal. It was out of this world. I nailed the taste and the texture!! Again, dont mind the dark part on the bottom of the plate. My oven is to blame. Adjust oven rack to middle position and heat to 350 degrees. 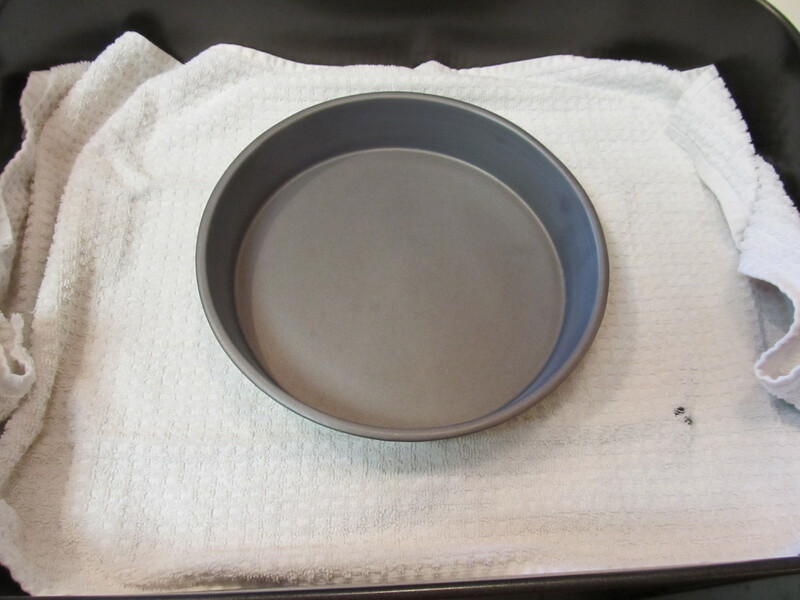 Place dish towel in bottom of large roasting pan and place 9-inch cake pan in center. 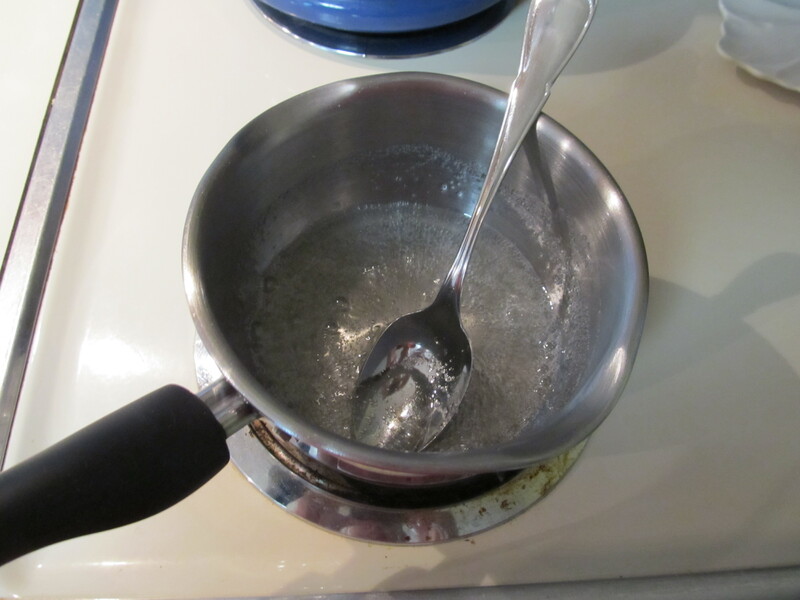 Bring sugar and water to boil in small saucepan, swirling saucepan gently until sugar has dissolved, about 3 minutes. Reduce to simmer and cook, gently swirling saucepan occasionally, until mixture turns deep, dark mahogany color, 7-10 minutes. 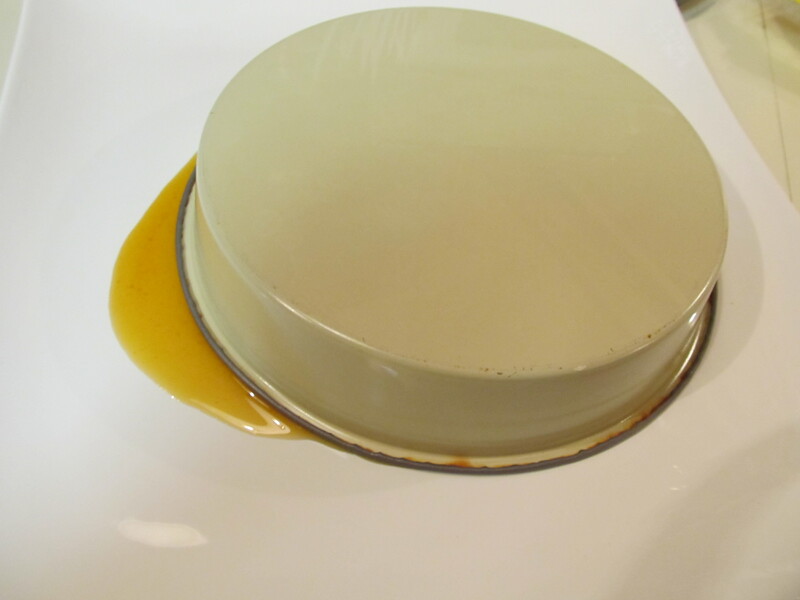 Carefully pour caramel into cake pan and cool slightly until hardened. Bring kettle or large saucepan of water to boil over high heat. 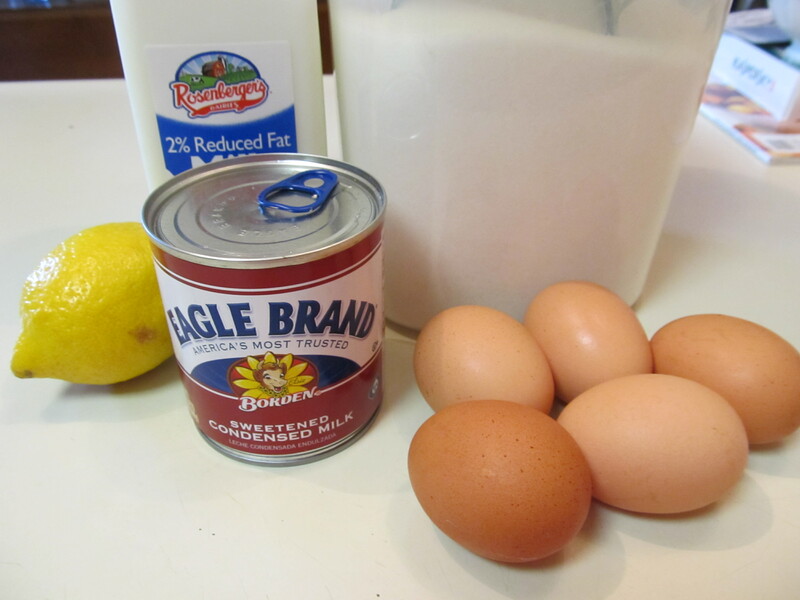 Meanwhile, whisk eggs and yolks together in medium bowl until thoroughly combined, about 1 minute. Whisk in condensed milk, 2 percent milk, and lemon zest. Pour mixture into cake pan and gently place roasting pan on oven rack. Be careful not to splash any water inside pan of custard, pour boiling water into roasting pan until water reaches halfway up the side of the cake pan. 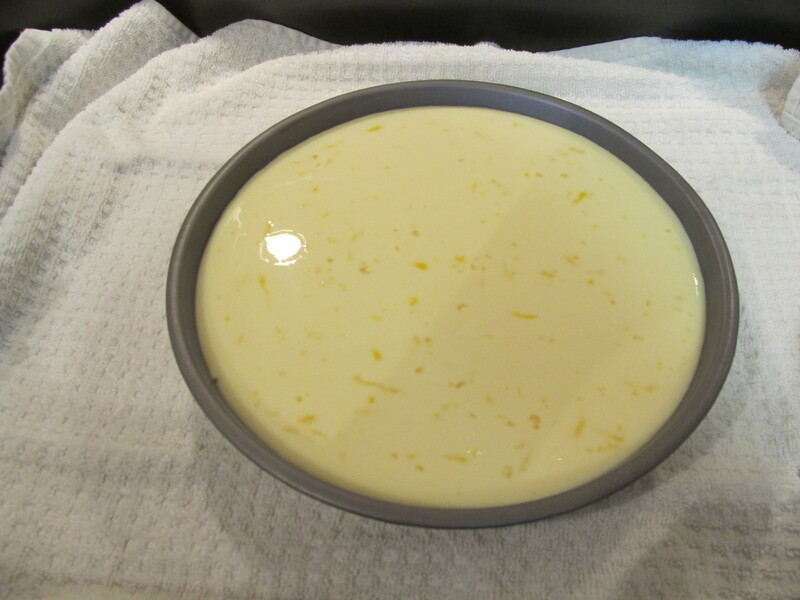 Bake until center of custard is just barely set and is no longer sloshy, 30-40 minutes. Start checking after 25 minutes. Carefully remove roasting pan from oven and careful transfer cake pan to wire rack and let cool to room temperature, about 2 hours. Cover cake pan with plastic wrap and refrigerate until completely chilled, at least 2 hours and up to 24 hours. Run knife around cake pan to loosen custard. Invert large serving platter over top of cake pan and grasping both cake pan and platter, gently flip custard onto platter, drizzling any extra caramel sauce over top (some will remain in pan). Serve. Can be made ahead 2 days – cover tightly on top with saran wrap so it hits the custard. You look so cute! And that flan looks amazing.